Use Promo Code: "Plus One " until August 1st for Discount weekend passes!!! PROMO CODE IS NOT VALID FOR DAY PASSES!! YOU WILL BE RESPONSIBLE FOR PAYING THE DIFFERENCE!!! 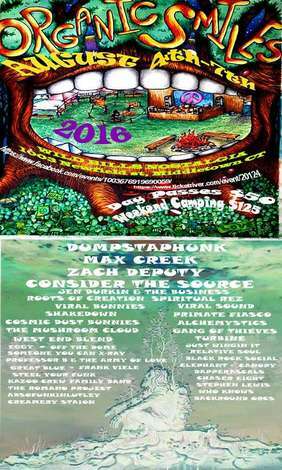 This amazing eventis a 4 day camping Music Festival, running Thursday 8 am - Monday at 12 pm. Day Passes are Available and may enter at 8 am on the valid date of pass and must exit by midnight the same day. Children 12 and Under are free !!! !